The UK holds many treasures when it comes to locations. With a variety of destinations all comprised of their own unique cultures and pastimes, there is much to experience throughout this small but significant island. Whether you are keen to visit major cities or small country towns, the UK has it all. When it comes to accommodation, there are plenty of choices for your UK adventure and there is something to suit all budgets. Here is a countdown of the top accommodation in some of the UK’s most popular destinations, ranging from high-end hotels to wallet-friendly hostels. All the UK’s popular cities offer high-end hotels to enjoy the utmost luxury during a lavish trip. A visit to London can be an extravagant one by choosing a first-class hotel. Four Seasons London at Park Lane is a top choice when looking for luxury. Located Just a block from Hyde Park, this five-star hotel offers elegant accommodation ranging from rooms to suites. Enjoy top-rate service and dining as well as a state-of-the-art spa. 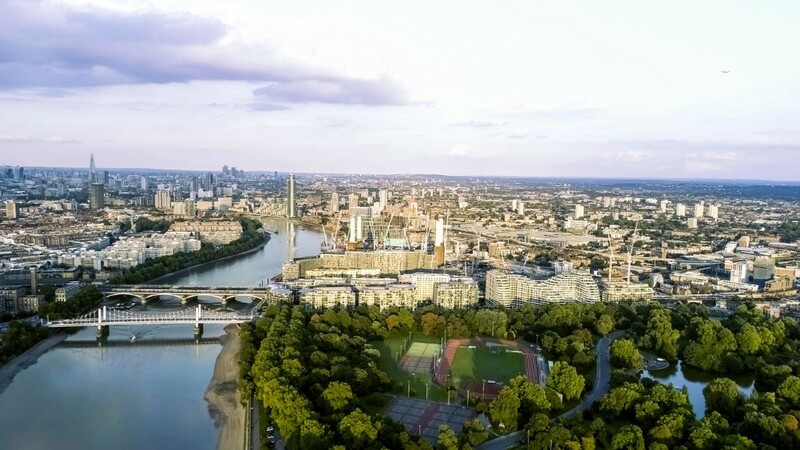 The Four Seasons is a stunning setting to call home during your trip to London. Enjoy an excellent location in the heart of bustling Kensington in the UK’s most prized city. Throughout the UK, you will find a large selection of accommodation in the mid-range budget. You can still enjoy the luxuries of an upper-class hotel without breaking the bank. During your British expedition, don’t miss the chance to visit Scotland. This fascinating country offers breath-taking landscape, a welcoming culture, hearty cuisine and a multitude of captivating history. 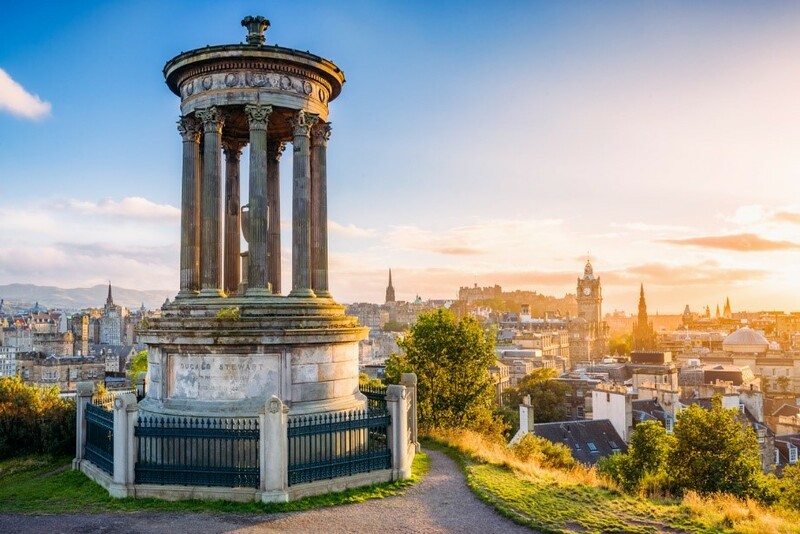 Visit Edinburgh during the Fringe Festival (the largest arts festival in the world) which occurs every August and be in the centre of all the excitement by staying at Fraser Suites Edinburgh. This beautiful hotel is made up of serviced apartments that are beautifully designed. The hotel offers excellent amenities and features and is located 5-minutes from the famous Royal Mile. After your Edinburgh explorations, take the train through to the modern and vibrant city of Glasgow. This diverse metropolis preserves its own history but also offers a contemporary style with a renowned music scene, a plethora of renowned gastronomy, excellent shopping and a thriving nightlife. Fraser Suites Glasgow, also offer gorgeous serviced apartments that are situated in the upmarket area of Merchant City. It is centrally located and within walking distance to many attractions, restaurants, bars and public transport. Here, you will find everything you need for a memorable trip to Glasgow. Calling all backpackers and budget travellers! Travelling sparingly doesn’t always mean having to rough it. When it comes to finding the right hostels, it is possible to find somewhere clean, comfortable and pleasant. Take a break from the hustle and bustle of the city and head on out to the country for some peaceful time spent getting in touch with nature. You can do just that, all while transporting back in time when you stay at YHA St Briavels Castle in Gloucestershire. This county in South West England houses this stunning castle that has been transformed into a hostel, welcoming travellers wishing to explore the stunning countryside. It is not often you can stay in a moated Norman castle for less than £20 a night. Go back to 1205 when St Briavels was built by dressing up in character and sitting down to a medieval banquet. Discover winding staircases and tall towers, you will feel like you are in a fairy tale! Whatever your budget when travelling in the UK, you can do it in style! With so much on offer, you are sure to have a memorable time exploring this exceptional island.